After Mother Nature played havoc with our bonfire in February, we are ready to resume a nice bonfire on the beach with friends and neighbors. The bonfire is a day after the Full Moon to avoid conflict with SINGH program. We will start the bonfire near sunset and will need to be off the beach by 10:00. The bonfire will be between Boardwalk 1 and 2. People ask if bonfire will be held if it’s cold or rainy….if the weather is so cold (i.e. below 40°) or rain is threatening, the bonfire will be canceled as no one would be comfortable attending. 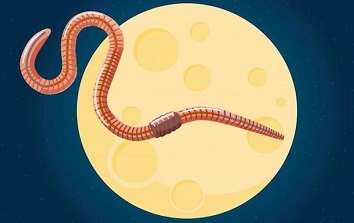 March – Full Worm Moon – As the temperature begins to warm and the ground begins to thaw, earthworm casts appear, heralding the return of the robins. The more northern tribes knew this Moon as the Full Crow Moon, when the cawing of crows signaled the end of winter; or the Full Crust Moon because the snow cover becomes crusted from thawing by day and freezing at night. The Full Sap Moon, marking the time of tapping maple trees, is another variation. To the settlers, it was also known as the Lenten Moon and was considered to be the last full Moon of winter. It will also be a so-called “supermoon,” which means the moon is at its closest point in its orbit to Earth. It’s the third of three supermoons to occur in 2019 (January, February, March). I found another web site (http://newsclipper.hubpages.com/hub/The-Moon-Facts-Trivia-and-Folklore) This site also says the Cherokee Indians called it the Windy Moon and the English Medieval name was Chaste Moon. Another web site (https://www.space.com/16830-full-moon-calendar.html) says the Chinese call it Sleepy Moon.